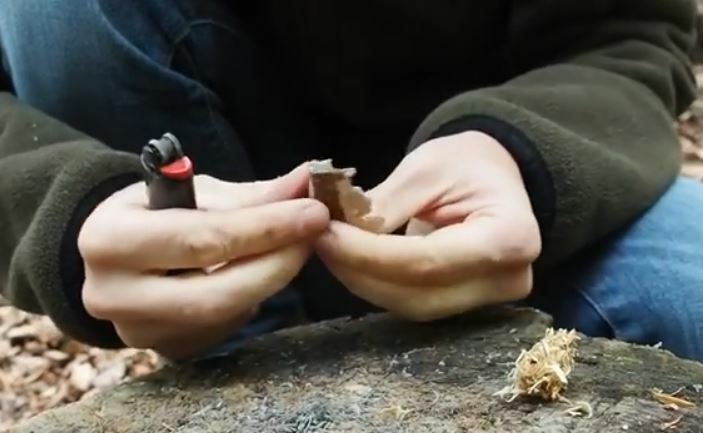 (Video) It’s Possible to Make a Fire With an Empty Lighter – Just Watch This! If you’ve ever had a “throw away” lighter that you felt just was not useful anymore you might want to rethink that assessment! Believe it or not, as long as our lighter has any kind of a spark, it can be used for survival purposes! Survival Lilly gives us a terrific tip on how you can use that discarded lighter and build a warm beneficial fire with it! She even shows how you might find some of these lighters in the middle of the wilderness, used by happy campers who did not realize their lighter was still worthwhile! She even shows how you might find some of these lighters in the middle of the wilderness, used by happy campers who did not realize their lighter was still worthwhile! After the break go over to the next page. Lilly will unlock the secret of using a throw away lighter for survival purposes. It may seem a little thing now but if you find yourself in a bad situation that castoff tool could save your life! It may seem a little thing now but if you find yourself in a bad situation that castoff tool could save your life!